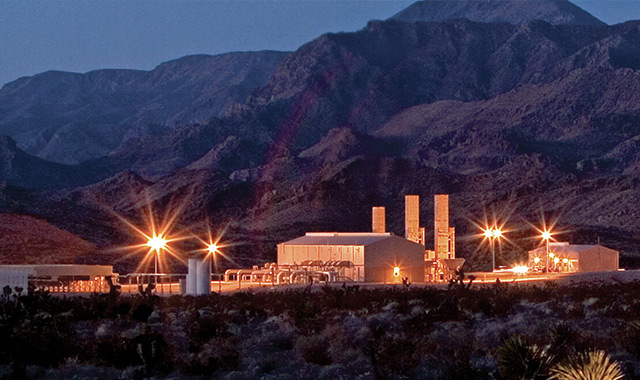 Designed to serve the growing needs of local distribution companies, electric power generators and industrial users, Kern River Gas Transmission Company is a direct link between the abundant Rocky Mountain natural gas-producing basins and Western markets. 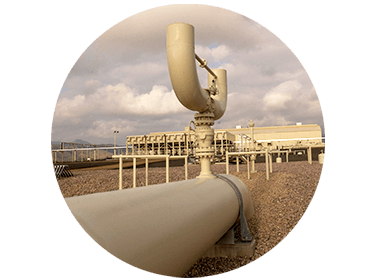 Kern River’s interstate natural gas pipeline system includes approximately 1,700 miles of pipeline and 12 fully automated compressor stations. Since it began operating in 1992, Kern River has demonstrated a strong commitment to customer service, safety and the environment. After completing its award-winning Apex expansion project, Kern River restored the land along the right of way by planting more than 100,000 trees and shrubs to minimize the visual impact of construction in the Wasatch Mountains. For additional business information, view our fact sheet. 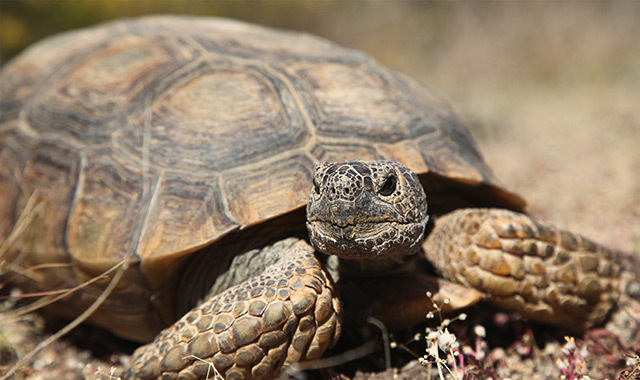 Kern River has overseen the purchase of more than 290 acres of desert tortoise habitat as part of the Mountain Pass Lateral Project. 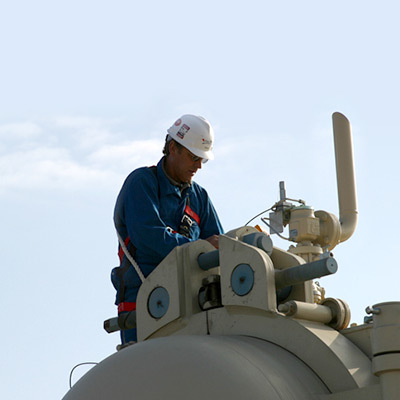 In a 2013 study by Foster Financial Reports, Kern River ranked first in overall weighted operating efficiency among 28 major natural gas pipelines. 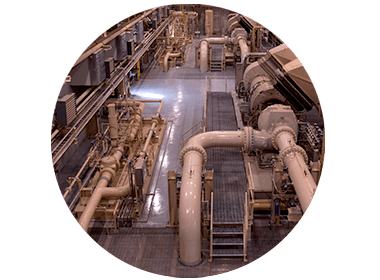 The entire Kern River pipeline system is carefully monitored seven days a week, 365 days a year to ensure it continuously meets or exceeds all federal, industry and Kern River standards. According to the National Transportation Safety Board and the Department of Transportation statistics, pipelines are the safest form of transportation. With employees recognizing safety as a top priority, Kern River ended 2018 with zero preventable vehicle accidents and zero lost-time, restricted duty or medical treatment incidents. 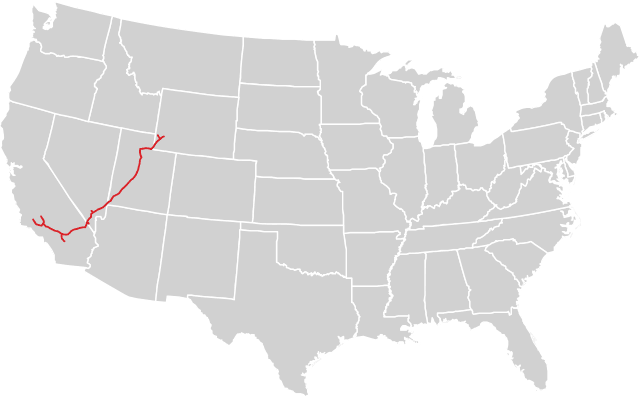 Kern River pipelines are made of heavy-duty welded steel pipe. Representatives inspect the pipe at the steel mills during fabrication to ensure quality standards are met. Kern River’s design capacity. When converted to megawatts of electricity, this is enough energy to power more than 10 million homes. 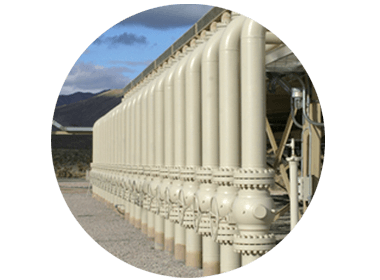 To reduce the effects of friction, four compressor stations are located in Wyoming, five in Utah, two in Nevada and one in California. Total system compression is approximately 384,000 horsepower, of which 368,500 horsepower is mainline compression. In its 23rd Edition Natural Gas Pipeline Customer Value/Loyalty Benchmarking Study, Mastio & Company ranked Kern River first in the regional pipelines category and second among 34 interstate natural gas pipelines. Additionally, based on the combined performance of Kern River and Northern Natural Gas, Mastio & Company has ranked BHE Pipeline Group first in customer satisfaction in the major organizational group category for 14 years in a row.